In today’s episode of the IT Provider Network, I want to talk about one of our most important assets and one that is often neglected. I would bet that many of you are like me in your business, you sell hardware and software to your clients when they have needs. They call or write to you when they have a new user and need a new computer. You might even have your VCIO call on them to drum up hardware refreshes or new technology initiatives but I’ll bet that you can’t tell me all your clients know about all your offerings. 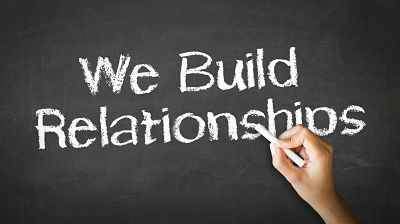 Today I want to talk about some ways that you can market to and capitalize on our greatest assets – our clients. Your best prospects are your existing client. If you have been marketing only to cold or warm prospects then you are missing a big segment of buyers that are already buying from you. Take some of your marketing efforts and work on reselling, upselling and cross-selling into your existing client base. I know that I have not done a great job having a formal, consistent marketing plan for our installed base. I just realized that not only do our clients not know about all of our offerings but all of our team members don’t either! Heres some new strategies to try get your hands around this often overlooked segment of your business. Keep in Touch – It’s important to have regular communication with your clients, and I think it should be a multi-faceted approach to outreach. The owner, the sales team and the service team should all have regularly scheduled outreach to the base. The medium for these touches can and probably should be varied. For example, the VCIO might send out a monthly email, The service manager might have a quarterly call with the power users and the owner to owner communications might be face to face meetings or a lunch along with regular calls or letters. Reassure Them on their Purchases – Every time a client purchases something from you, follow up with them after the purchase to reassure them of the purchase. This is also a great time to make sure there are service related issues. If your terms are Net 30 make this call about 15 days in to make sure the client is happy and the product or service you delivered and the invoice is top of mind. Give your Clients the Best Deals – Doesn’t make you crazy when you hear your cable TV provider offering great new customer deals on TV. Doesn’t it make you question why they don’t value your business, you know the customer that has been with them for 5 years? Well, your clients feel this way too. Let them have it First – Extend your best offers to your existing clients and do it before you announce it to the world. People want to be valued and they always want to be let in on a secret or a private sale. Make sure you write this thank you in your authentic voice. Use this thank you note as a way to tell the buyer you will be contacting him from time to time to alert him of things important to their business. Strive to show your passion for providing great service and the fact that you truly value their business. Send a small gift if your budget allows. Brownies or cookies for the office is a nice touch. Lastly, if you didn’t sell them on your main offer, your managed services, but instead on a smaller thing like backup or some digital marketing then use this first contact to offer them best pricing for an upgrade to your main offer. If you can, you should try to upsell the client right at the initial sale. If you use a quoting software like Quotewerks or Connectwise Sell then you should include optional items on your quote. If this is hardware, always include a service contract. Experiment with discounting add-on services on this initial quote. Make it a good discount but make it time sensitive. Don’t just add it on the quote, follow-up and put some effort into closing the add-on sale. You will be surprised how many of these deals you can close with little or no more effort. Perpetual Selling – Are you doing it? How many UPS’s do you sell? Are you putting those UPS’s on any sort of track for battery refreshes or replacement? How about servers, are you selling them with a service contract? Are you following up on those contract expirations or letting them lapse. The key is to have systems and a regular cadence in place to follow-up. In our business we use two tools to help us with this, IT Glue and ConnectWise Manage, by having accurate hardware information stored in our systems we can follow up every month with warranties that are expiring. The bulk of us are selling the same products and services, but where we have a chance to outshine our competition is by creating a unique offer, an offer that really resonates with our buyers. Have an open mind, adopt a beginners mindset and educate your client base. Think of new and creative ways to bundle and package your products and services that will excite your clients. Belief me your clients aren’t excited about spam and virus protection. That’s it for episode 35 of the IT Provider Network. If you are not ready on my mailing list, go to www.itprovidernetwork.com and get signed up. Last week I released a private LinkedIn sales training I did for my team to the list and there is more to come. Thanks for tuning in and as always I appreciate your comments, ratings and reviews.